2, is a metalloid hydride composed of silicon and hydrogen. Disilyne is not well-characterised or well-known, and it is kinetically unstable with respect to isomerisation. The most stable isomer is a dibridged singlet, named di-μH-disilyne, followed by a monobridged μH-disilyne. A third, unbridged singlet ismomer is predicted to exist before disilyne - disilenylidene. Disilynes contain a formal silicon–silicon triple bond and as such is formulated R2Si2 (where R is a substituent group) and is the silicon analogue of an alkyne. 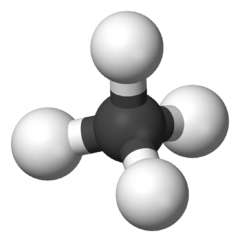 Some chemists use the term silyne to refer to compounds containing a silicon–silicon triple bond whilst others use the term to refer to compounds containing a silicon–carbon triple bond by analogy to silene, which often refers to compounds containing silicon–carbon double bonds. The term polysilyne can refer to the layer polymer (SiH)n or substituted derivatives. It was prepared by the reduction of the related tetrabrominated precursor by potassium graphite (KC8), it is air and moisture sensitive and does not melt or decompose until 128 °C. Considered as a tetrasila-2-yne derivative the four Si atoms in the chain are not collinear and in this respect the compound differs from the related alkyne. The four silicon atoms in the chain are however perfectly coplanar, the first and fourth silicon atoms are trans to one another, and the angle between the triple bond and the adjacent silicon is 137°. The central triple bond is 206 pm (around 4% shorter than Si-Si double bonds (214pm)) and the other Si-Si single bonds are 237 pm. The colour is believed to be due to a weak π - π* transition. In this the Si-Si triple bond length was calculated as 207 pm. 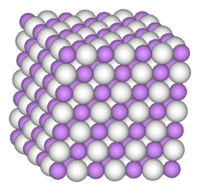 Triple bonded compounds of the heavier members of group 14 have all been prepared; lead in 2000,  and tin and germanium in 2002. In all of these the substituents attached to the bonded metal atoms are not collinear as in the alkynes but trans bent. ↑ Miriam Karni; Yitzhak Apeloig (January 2002). "The quest for a stable silyne, RSi ≡ CR′. The effect of bulky substituents ". Silicon Chemistry. 1 (1): 59–65. doi:10.1023/A:1016091614005. ↑ Akira Sekiguchi; Rei Kinjo; Masaaki Ichinohe (September 2004). "A Stable Compound Containing a Silicon-Silicon Triple Bond". Science. 305 (5691): 1755–1757. Bibcode:2004Sci...305.1755S. doi:10.1126/science.1102209. PMID 15375262. ↑ Carlo A. Pignedoli,; Alessandro Curioni,; Wanda Andreoni, (2005). "Disproving a Silicon Analog of an Alkyne with the Aid of Topological Analyses of the Electronic Structure and Ab Initio Molecular Dynamics Calculations". ChemPhysChem. 6 (9): 1795–1799. doi:10.1002/cphc.200500064. PMID 16144004. ↑ Gernot Frenking, Prof.; Andreas Krapp, Dipl.-Chem. ; Shigeru Nagase, Prof.; Nozomi Takagi,; Akira Sekiguchi, Prof. (2006). "Comment on Disproving a Silicon Analog of an Alkyne with the Aid of Topological Analyses of the Electronic Structure and Ab Initio Molecular Dynamics Calculations". ChemPhysChem. 7 (4): 799–800. doi:10.1002/cphc.200500689. PMID 16596606. ↑ Carlo A. Pignedoli,; Alessandro Curioni,; Wanda Andreoni, (2006). "Reply to Comment on Disproving a Silicon Analog of an Alkyne with the Aid of Topological Analyses of the Electronic Structure and Ab Initio Molecular Dynamics Calculations". ChemPhysChem. 7 (4): 801–802. doi:10.1002/cphc.200600025. ↑ Rei Kinjo; Masaaki Ichinohe; Akira Sekiguchi; Nozomi Takagi; Michinori Sumimoto; Shigeru Nagase (2007). "Reactivity of a Disilyne RSiSiR (R = SiiPr[CH(SiMe3)2]2) toward π-Bonds: Stereospecific Addition and a New Route to an Isolable 1,2-Disilabenzene". J. Am. Chem. Soc. 129 (25): 7766–7767,. doi:10.1021/ja072759h+S0002-7863(07)02759-X. ↑ Pu, L.; Twamley, B.; Power, P. P. (2000). "Synthesis and Characterization of 2,6-Trip2H3C6PbPbC6H3-2,6-Trip2 (Trip = C6H2-2,4,6-i-Pr3): A Stable Heavier Group 14 Element Analogue of an Alkyne". J.Am. Chem. Soc(Communication);. 122 (14): 3524–3525. doi:10.1021/ja993346m. ↑ Phillips, A. D.; Wright, R. J.; Olmstead, . M.; Power, P. P. (2002). "Synthesis and Characterization of 2,6-Dipp2-H3C6SnSnC6H3-2,6-Dipp2 (Dipp = C6H3-2,6-Pri2): A Tin Analogue of an Alkyne". J. Am. Chem. Soc.(Communication). 124 (21): 5930–5931. doi:10.1021/ja0257164. ↑ Matthias Stender; Andrew D. Phillips; Robert J. Wright; Philip P. Power (2002). "Synthesis and Characterization of a Digermanium Analogue of an Alkyne". Angew Chem Int Ed. 41 (10): 1785. doi:10.1002/1521-3757(20020517)114:10<1863::AID-ANGE1863>3.0.CO;2-I.